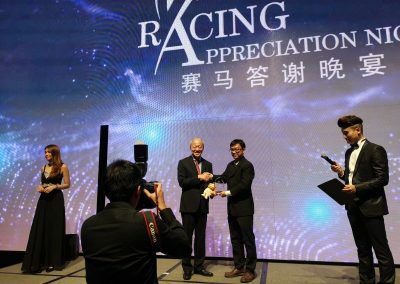 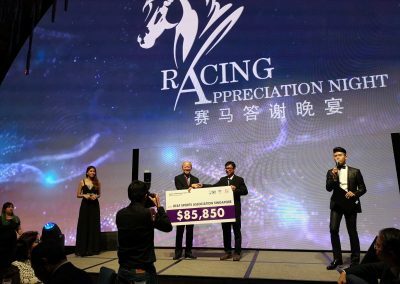 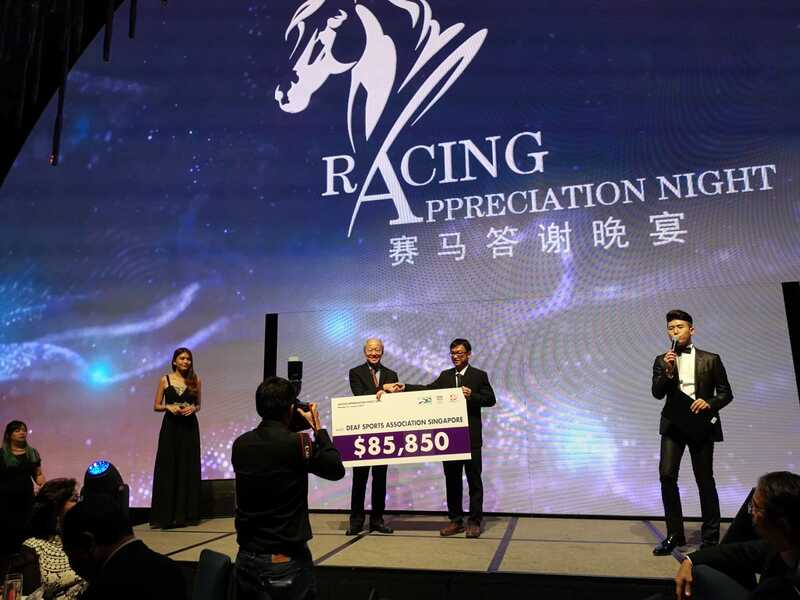 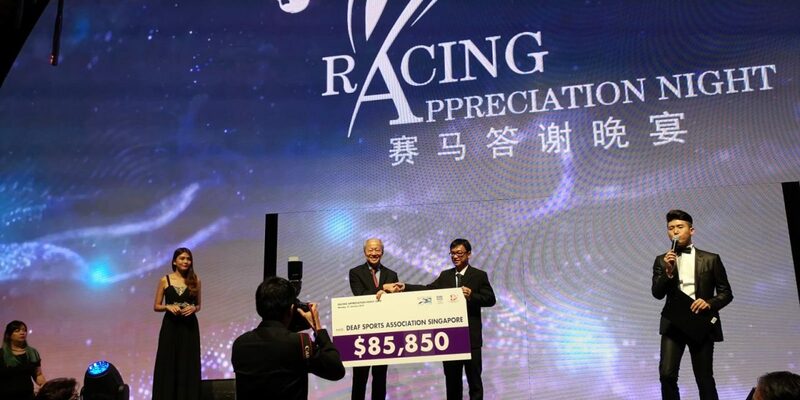 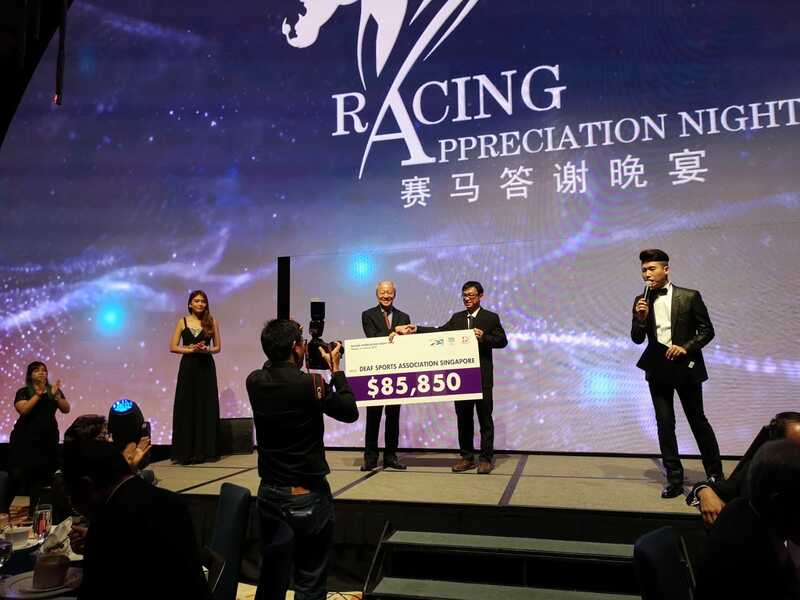 On Monday, 21 January 2019, at the Racing Appreciation Night 2018, the racing fraternity came together to raise a total amount of $85,850 for charity, and specifically to the DSA, including the grant support from Tote Board for this fund-raising effort. 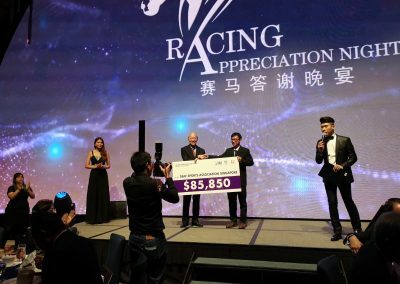 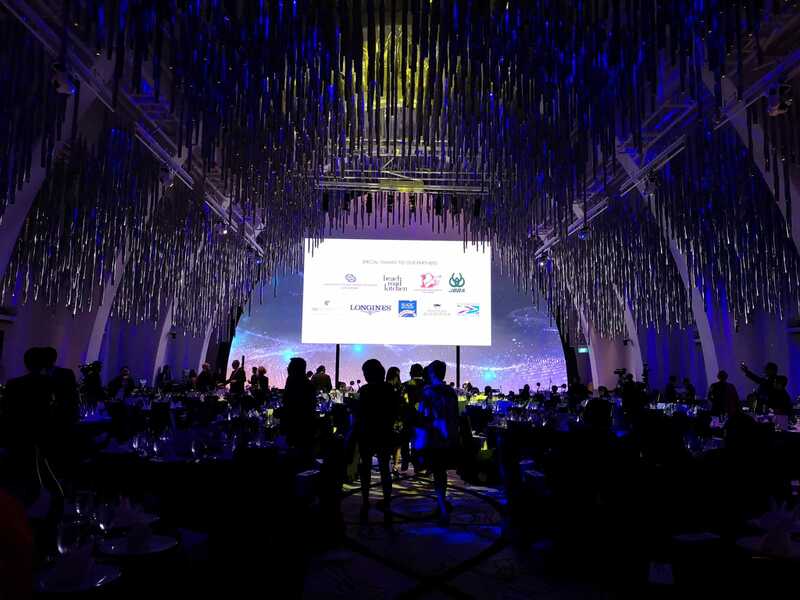 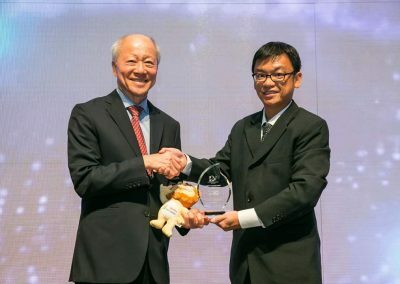 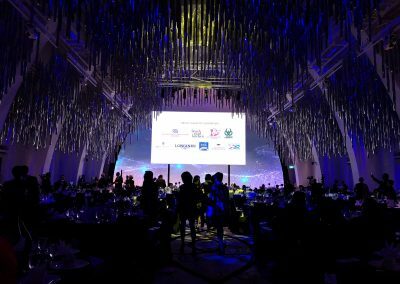 This is one of the Singapore Turf Club’s donation initiatives under its Corporate Social Responsibility program, through the aegis of Tote Board, supports a host of community and social initiatives that enable communities to progress, promote social cohesiveness, and create value in the community we live in. 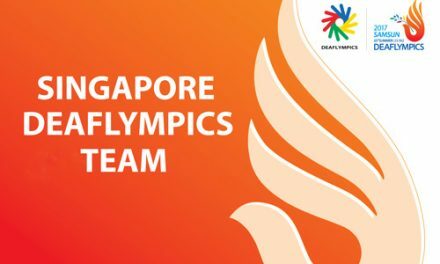 The donation received by the STC would be channeled to Deaf sports development programs and the preparation of athletes to participate in the international competition held overseas. 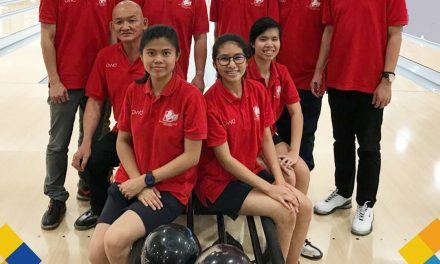 Deaf sports development program had proven successful when two Deaf female bowlers created the nation’s history by clinching a gold and a bronze medal respectively in Tenpin Bowling at the last Deaflympics 2017 in Samsun. 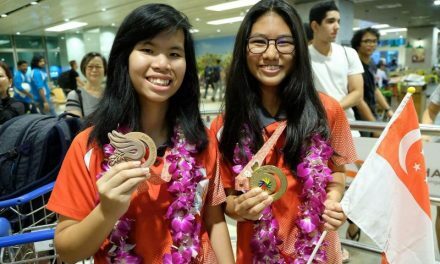 The DSA has been actively grooming deaf athletes to participate in the international competitions which take place globally. 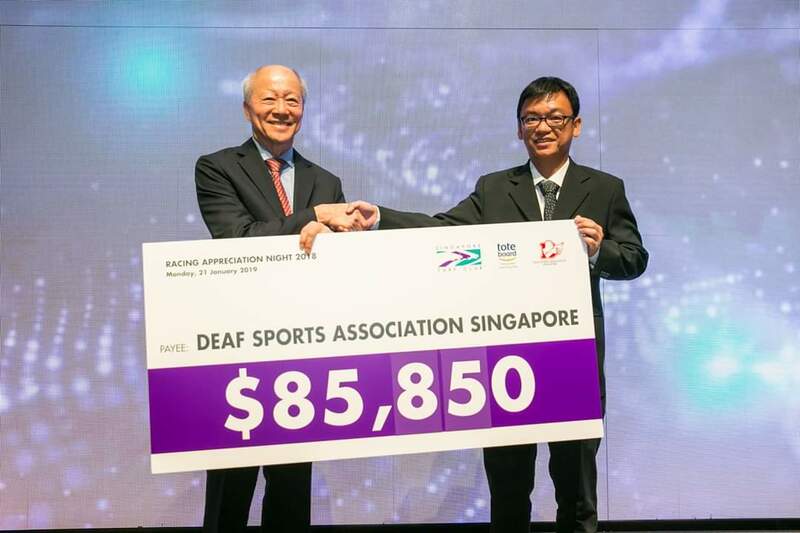 It has the mission to inculcate values into the deaf community through sports as part of social integration, character building and healthy lifestyle. 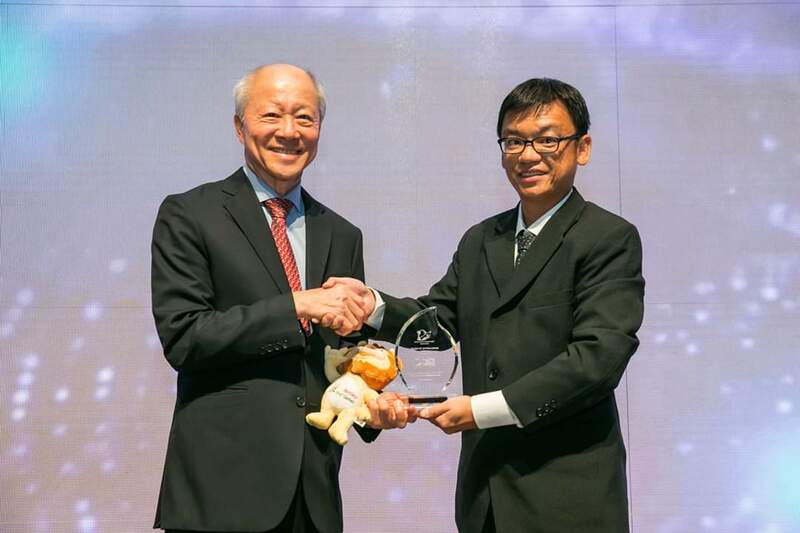 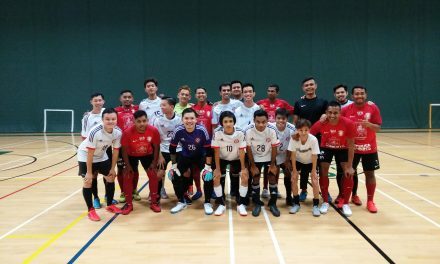 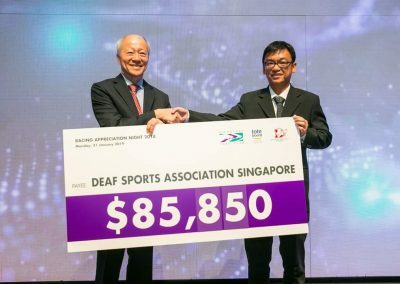 The recent donation received will boost the overall development of sports for the deaf community in Singapore.